BALDWIN PARK UNIFIED SCHOOL DISTRICT. Administrative Law Judge June R. Lehrman, Office of Administrative Hearings (OAH), State of California, heard this matter in Baldwin Park, California, on April 24, 25, 26, and May 2, 3 and 10, 2012. Delia Park, Attorney at Law, appeared on behalf of Student. Mother attended the hearing for partial days on April 24, April 26, May 2, May 3, and a full day on May 10, 2012. Meredith Reynolds, Attorney at Law, appeared on behalf of Baldwin Park Unified School District (District). Mary Beltran, Coordinator of Special Education, attended the hearing on all days. On January 13, 2012, this matter was remanded to OAH by the United States District Court for the Central District of California for hearing on the August 7, 2009, amended complaint.1 (See T.G., by and through his Guardian Ad Litem, v. Baldwin Park Unified School Dist. (C.D. Cal. January 13, 2012) CV 09-6555 R (RCx).) The parties served OAH with that Order on February 22, 2012. On February 27, 2012, OAH deemed the August 7, 2009, amended complaint filed as of February 27, 2012, re-opened the case, and reset all applicable timelines. The matter was continued for good cause on March 5, 2012. At hearing, the parties requested and were granted a continuance to file written closing arguments by May 25, 2012. Upon receipt of the written closing arguments, the record was closed and the matter was submitted. 1) Did District deny Student a free appropriate public education (FAPE) by failing to assess him in all areas of suspected disability, specifically emotional disturbance (ED), before developing an IEP on May 12, 2009, for the 2009-2010 school year? 2) Did District deny Student a FAPE in the May 12, 2009, individualized educational program (IEP) by failing to include the disability of ED as a category of eligibility in the IEP? 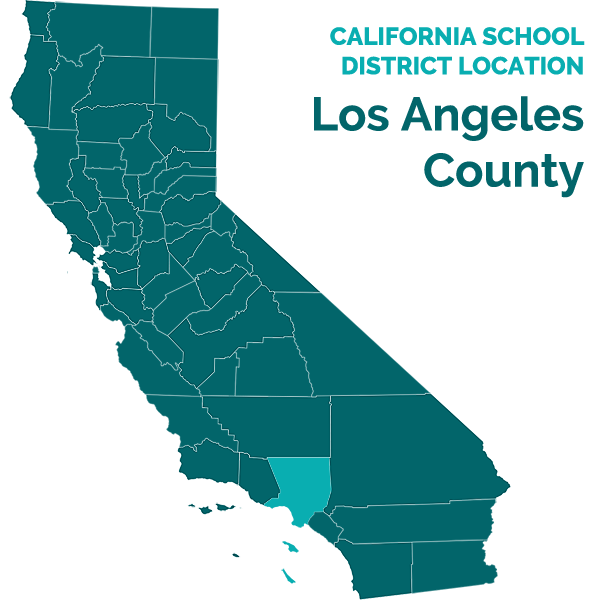 3) Did District deny Student a FAPE by failing to convene an expanded IEP team meeting with an authorized representative of the Los Angeles County community mental health service within 30 days of the May 12, 2009, IEP team meeting? 1. Student is currently 19 years old. For all relevant times he has been eligible for special education and related services under the primary eligibility category of autistic-like behaviors, with secondary eligibilities of intellectual disability and speech and language impairment. 2. From at least the age of nine in approximately 2001 until 2006, Student attended Elliot Institute (Elliot), a non-public school (NPS), in a small structured classroom with between five and 12 other children in his class. His teacher there for much of the time from the early 2000’s onward was special education teacher Patricia Kreyssler. 3. Student continued at Elliot for most of 2006, pursuant to IEP’s agreed upon by Mother and District. After an incident at Elliot involving Mother and an Elliot staff person, Mother withdrew Student from the school. 4. At a meeting on April 24, 2006, Mother and District agreed to an IEP addendum that placed Student in home instruction until another placement could be found. 5. District was unable to locate a suitable academic teacher for Student. Mother located Student’s previous Elliot teacher, Ms. Kreyssler, and District agreed to contract with her. In late October 2006, Ms. Kreyssler began to teach Student two days a week. Although the District placement was home instruction, it was actually delivered in an empty classroom furnished by District at Bursch Elementary School. No other students were present. In this setting, Student progressed from reading at the kindergarten level to the early second grade level, and began to develop an interest in learning. 6. In an IEP agreed to on December 13, 2006, Student’s placement remained in home instruction, although the placement continued to be implemented not at home but at a District location. 7. Student had a significant history of behavioral difficulties in school that was reported to the District at least as early as a December 12, 2005, IEP meeting. At that time, it was reported that Student had hit one of the female therapists at Elliot, and engaged in inappropriate sexual behavior. As of the 2006-2007 school year, his behavior included hitting, kicking, and pinching, while digging his nails into the skin of other people. It took more than one adult male to calm Student when he became agitated. Student lacked self-control, exhibited inappropriate sexual behavior, publicly masturbated, and attacked service providers. When Student became enraged, he turned over furniture, including heavy desks, and tried to grab and hit Ms. Kreyssler. Student’s behavior included frequent self-stimulation, inability to rein in his actions when around other students and staff, trying to pull a female coach’s pants down, and looking under the skirt of a female coach. Student, during 2006-2007, engaged in behaviors that were self-injurious and assaultive. District was aware of these increasing behavioral difficulties and their effect on his education. 8. The troublesome behaviors Student displayed in the previous school year continued and worsened in 2007-2008. 9. District conducted a triennial evaluation of student in December 2007 when Student was 15. 10. As part of the triennial evaluation, District Speech Language Pathologist Mary Carpenter conducted a Speech Language Assessment dated December 4, 2007. She assessed Student using the Expressive One Word Picture Vocabulary Test-Revised (PPVT-R), which tested Student’s ability to state the names of objects shown to him, and the Receptive One Word Picture Vocabulary Test (ROWPVT), which tested Student’s ability to identify objects by pointing to them. Student’s receptive and expressive language abilities scored at an age equivalence of three years old, below the first percentile. 12. District School Psychologist Susan Coats conducted a psychoeducational assessment dated December 11, 2007. Ms. Coats did not do any cognitive testing as part of this assessment. She administered only one assessment instrument directly to Student, the Woodcock-Johnson Tests of Achievement, Third Edition (WJ III), which measured academic achievement. Student’s scores reflected basic reading skills at the 1.6 grade level, reading comprehension at the 1.2 grade level, written expression at the 1.4 grade level, mathematic calculation at the 1.2 grade level, mathematic reasoning at the less than kindergarten grade level, and oral language and listening comprehension at the less than kindergarten grade level. Student’s age equivalencies for these scores ranged from two to seven years of age. 14. Mother and Teacher also completed the Gilliam Autism Rating Scale (GARS). The results indicated an “autism quotient” of 110 and an “average” probability of autism. 2The FBA report was admitted into evidence, however its contents are hearsay and admissible under Education Code, section 3082, subdivision (b) only to supplement or explain other admissible evidence. The FBA report was part of the triennial evaluation, however the author of the report did not testify and no other foundation was laid for the truth of the report’s contents. Therefore, the existence of the report is noted, but its contents did not establish any facts, and are therefore not summarized here. 15. Mother also completed the Achenbach Rating Scales. The report contained no indication of the relevance of this assessment instrument, nor what domains it was used to measure. The only result reported that Student had “clinically significant” levels of anxiety. 16. Ms. Coats’ practice was to review Student’s educational records, IEP’s and prior assessments. Regarding prior assessments, the report indicated that Student had been assessed in 1996 using the Cattell Infant Intelligence Scale and the Merrill Palmer, in 1997 using the Southern California Ordinal Scales of Development, in 2002 using the Psychoeducational Profile-Revised, and that in 2005, Mother and Teacher had completed the ABAS II. The report did not reflect the results of any of these prior instruments, except that it noted without explanation that Mother’s standard scoring on the ABAS II “general adaptive composite” was reported to be 41, and Teacher’s was 46. The only prior assessment that would have reflected Student’s cognitive abilities was the 1996 Cattell Infant Intelligence Scale, the results of which were not reported. The assessment did not report any observations of Student. 17. The report summarized Student as having needs because of autism, moderate intellectual disability, and language deficits. Although the specific results of previous cognitive assessments were not reflected, Ms. Coats summarized them as documenting that Student functioned in the moderately developmentally delayed range on cognitive and adaptive measures. The report stated that present achievement data, formal and informal, reported minimal growth in all academic areas since Student’s last triennial evaluation. Student’s learning was limited to concrete, stimulus-specific skills, learned in his one-on-one teaching setting. 18. At hearing, Ms. Coats defended her decision not to report Student’s previous testing results, and to do no further cognitive testing of Student, even though the only prior cognitive instrument that had ever been administered to Student was the Cattell Infant Intelligence Scale in 1996. Ms. Coats felt no need to report any scores or perform additional cognitive testing because, in her view, there had been no significant changes in Student’s cognitive levels since age three. Her report confirmed Student’s previous eligibility categories of autism, intellectual disability, and speech and language impairment, which she saw no need to revisit. She was more concerned with Student’s life skills and ability to function. If there was something discrepant or some reason to change Student’s eligibility category, she would do more testing, but here, she saw no such need. 19. The IEP team met on June 24, 2008. Reports from Ms. Kreyssler and Student’s speech language pathologist reported that Student had exhibited severe aggressive behaviors including grabbing, pinching, hitting, throwing items, and kicking and punching both at home and at school. Student’s behaviors reportedly improved when his routine was consistent. 20. By letter dated July 21, 2008, District offered Student a placement at an NPS called Canyon View School (CVS). Mother toured CVS at or around that time. 21. Disputes arose between the parties in the summer of 2008 (ultimately resulting in the Prior Decision in January 2009). During the pendency of those disputes, in the summer or autumn of 2008 at the beginning of 2008-2009 school year, the location of Student’s program moved from Bursch Elementary School to Jones Jr. High School (Jones), where Ms. Kreyssler continued to instruct him individually. As credibly testified to by District Special Education Coordinator Mary Beltran, District provided Student with one-on-one aide services at Jones; the aide’s name was Alfred Ruff, and he reported weekly to Ms. Beltran. As further credibly testified to by Ms. Beltran, District provided behavioral supervision services through its behavioral consultant Sandra Cossio. 22. Ms. Cossio was a Board Certified Behavior Analyst (BCBA) who obtained her master’s degree in counseling with an emphasis in applied behavior analysis. She had extensive experience working in group homes and Regional Centers with autistic students, and also with the intellectually disabled, and emotionally disturbed populations. She had served as District’s consultant since 2005. In that capacity she performed FBA’s, and Functional Analysis Assessments (FAA’s), attended IEP meetings, and supervised District staff. 23. In January 2009, OAH issued the Prior Decision. The Order in that Decision ordered different relief for different time periods. It ordered compensatory education to be provided between 30 days of the date of the Order and the beginning of the 2009-2010 school year, consisting of specified durations and frequencies of the following services: academic instruction; speech language therapy; support by a behaviorist; a behavior assistant; and a recreational coach. Thus, pursuant to the Order, Student was to be provided compensatory education for the time period February through August 2009. 25. The Order also stated that District’s offer, made by letter dated July 21, 2008, for placement at CVS had been an offer of FAPE in the least restrictive environment (LRE) and “may be implemented at the beginning of [school year] 2009-2010 at CVS consistent with this Order.” Thus, pursuant to the Order, Student was to attend CVS for the 2009-2010 school year from August 2009 forward. 26. District understood the Order’s award of compensatory education to be over and above Student’s preexisting IEP services, thus District understood that its obligation was to continue the preexisting placement and services and also to provide the compensatory education over and above them. 27. District convened an annual IEP team meeting on February 3, 2009, to implement the Prior Decision with respect to the balance of the 2008-2009 school year and summer 2009 extended school year (ESY). Student attended the five-hour IEP team meeting and was well-behaved. 28. Ms. Kreyssler attended and submitted a report stating that Student continued to have episodes of violent, unpredictable aggressive behavior. Notwithstanding his deficits, which did interfere with his education, Student was capable of and interested in learning. Ms. Kreyssler was teaching Student to read through the Edmark program at the fourth grade level, a program that normally takes two years but that Student mastered in 1.5 years. His vocabulary had doubled along with better comprehension. Student could identify and spell all 50 states (a fifth grade skill) and could write in cursive (a third grade skill). Ms. Kreyssler also introduced Student to puzzles, with which he was able to entertain himself productively. However, Ms. Kreyssler was not able to introduce any social skills into Student’s repertoire. He could not play or interact with others, and although he and Ms. Kreyssler had a rapport, Student was largely unaware of the presence of other human beings. 29. District behavior consultant Sandra Cossio attended and presented draft behavior goals and a draft Behavior Teaching/Intervention Plan targeting Student’s noncompliance, aggressive behavior and vocal stereotyping. She developed these from the FBA that had been performed as part of the 2007 triennial evaluation. Ms. Cossio had not herself performed any behavioral assessment of Student, partly because of a miscommunication in 2008 between the parties about an assessment plan, and partly because Mother did not have confidence in Ms. Cossio. No new behavioral assessment had been completed since the 2007 triennial. The draft proposed Behavior Teaching/Intervention Plan specifically stated that Student’s behaviors occurred in all settings including school, home and community, however that information was not based on Ms. Cossio’s own observations. 30. Disagreements arose between the parties at the February 3, 2009, IEP meeting. With respect to the preexisting services, the parties disagreed about what had been previously provided and by whom. District understood the pre-existing IEP placement and services to consist of a combination of services at school and at home, as follows: Ms. Kreyssler’s instruction of Student twice per week at Jones; recreation therapy twice per week provided by the NPA Harvest Moon at Jones; one-on-one behavior assistant at home four hours per day, five days a week; individual speech services twice per week provided by the NPA Harvest Moon; 24 hours per week individual tutoring at home provided by Harvest Moon; and recreation and swim therapy provided at a gym/pool by an NPA. The parties disagreed over the past implementation, but this was District’s understanding. Therefore, consistent with its understanding of the Prior Decision, it offered these services on a going forward basis at the February 3, 2009, IEP for the balance of the 2008-2009 school year and, with some modifications in location and frequency, for 2009 ESY as well. District contacted the NPA Total Educational Solutions to provide the home-based services previously provided by Harvest Moon. District did not progress to the point of actually contracting with Total Educational Solutions. 31. With respect to the compensatory education ordered, consistent with its understanding of the Prior Decision, District offered the following for the balance of the 2008-2009 school year: Ms. Kreyssler’s instruction of Student an additional three days per week at Jones; recreation therapy an additional three days per week provided by an NPA at Jones; daily speech and language services at Jones; a behavior assistant two hours per day, five days per week at Jones, and 10 hours behavioral supervision. With some modifications in location and frequency, District’s offer for compensatory education extended into summer 2009 ESY as well. 32. With respect to the compensatory education ordered, District understood the Prior Decision’s statement that “District may deliver the above services at a place of its choosing away from Student’s home” to enable it to choose either home-based services or not, at its option. Mother had a contrary understanding, that the Prior Decision required all services to be provided away from home. 33. Mother declined all home-based services offered by District, feeling she did not want to be constantly overseeing the services, and understanding the Prior Decision to require them to be provided outside the home. 34. Mother did not consent to the February 3, 2009, IEP, but District misunderstood Mother’s intent. District understood that Mother partially consented. District understood that Mother consented to all portions of the offer except for the home-based services. District therefore proceeded to implement the non-home based portions of the offer made in the February 3, 2009, IEP, in otherwise unused rooms at Jones from February 2009 until June 2009 and then at Sierra Vista High School for ESY 2009. 35. On or around February 26, 2009, Mother requested an addendum IEP meeting to resolve issues and concerns remaining from the February 3, 2009 IEP meeting. Mother also was concerned that Ms. Cossio was not qualified, and she requested further information regarding her qualifications. District received this request and scheduled an IEP meeting for March 16, 2009, however that meeting was delayed until May. Also in or around the February/March time frame, Mother declined Ms. Cossio’s behavioral supervision hours, feeling that Ms. Cossio was unqualified. Mother asked Ms. Cossio not to supervise further, and to conduct no observations of Student. 36. Subsequently, after consulting with District’s Ms. Beltran about Mother’s declining her services, Ms. Cossio nevertheless supervised Student’s one-on-one aide Alfred Ruff, and talked with Mr. Ruff approximately once per week from March 2009 onward until Mother withdrew Student from school in June 2009. Mr. Ruff did not tell Ms. Cossio about any instances of aggression from Student. 38. On May 12, 2009, District convened an addendum IEP meeting. The purpose of the meeting was both to offer CVS for the upcoming 2009-2010 school year, as ordered by the Prior Decision, and to hold the addendum to the February IEP meeting that Mother had requested that had originally been scheduled for March. The attendees were Mother, her attorney, Ms. Kreyssler, Ms. Beltran, district speech pathologist Joan Vanderhoof, Ms. Cossio, a school psychologist, District’s attorney, and an NPA service provider. In addition, District invited representatives from CVS, because the Prior Decision ordered placement there for 2009-2010. CVS’ Executive Director Catherine Ohls and Behaviorist Carla Walden both attended. They described the CVS program and tried to allay Mother’s concerns. Ms. Walden opined about the appropriateness of CVS for Student, and assured Mother that she would devote herself to doing whatever she could to ensure Student’s success at CVS. Mother was familiar with the CVS program, as it had been offered in summer 2008 prior to the due process disputes resulting in the Prior Decision. 39. At or before that IEP, Parent provided District with a copy of Dr. Brown’s letter. At the IEP, Mother shared her concerns that Student’s level of aggression and behaviors, even with medication, required an RTC. Mother presented photographs of bruises she had obtained from physical altercations with Student. Ms. Kreyssler confirmed her concerns for Mother’s safety. Mother asked that Student be assessed for ED, and requested a referral to the Department of Mental Health for mental health assessments or services. 3 Dr. Brown did not testify at hearing, therefore this letter was admissible under Education Code, section 3082, subdivision (b) only for purposes of establishing that District was on notice of these contentions. No foundation was established at hearing as to the truth of Dr. Brown’s factual assertions, nor for the bases of his opinions. 40. District refused. District stated that it was relying on the previous 2007 triennial psychoeducational assessment, which it considered current. District considered a mental health assessment inappropriate and premature, because Ms. Cossio’s Behavior Intervention/ Teaching Plan drafted for the February 2009 meeting had not been implemented, because Mother did not consent to it or to Ms. Cossio’s services. District offered, rather than an assessment for ED, to conduct an FAA, and it presented Mother with an assessment plan at the IEP or shortly thereafter. CVS was in accord with this recommendation, as an FAA would have been helpful to identify the antecedents to Student’s aggressive behaviors and analyze interventions. District also stated that Student could obtain an independent assessment and file for due process. 42. CVS was a NPS that served students whose intensity of behaviors rendered them unable to be served by District or County programs. Their programs addressed the needs of developmentally delayed students who were intellectually disabled, those who had emotional disorders, attention deficit disorders or other learning disabilities, and children on the autism spectrum. In 2009, CVS had academic programs; occupational therapy (OT); gross and fine motor skills development; a sensory laboratory for students to explore textures and audio-visual stimuli; music therapy; speech and language services; assistive technology; programs devoted to daily living skills; and vocational training. CVS also offered parent support groups. CVS had a behaviorist on staff, and trained one-on-one assistants, who utilized Applied Behavioral Analysis techniques and collected data regarding Student’s behaviors, their antecedents, and their function or communicative intent. CVS’ students typically had behavior support plans in their IEP’s. 43. CVS’ Behaviorist Carla Walden had a very extensive, and impressive, background as a behaviorist and licensed nurse, working with the most severe behaviors in disabled students, and providing in-home services through regional centers and as a private consultant for 22 years. She had a bachelor’s degree and master’s degree specializing in communicative disorders and autism. She was a Board Certified Behavior Analyst. She also held a vocational degree as a psychiatric technician and was therefore a licensed nurse. She had been with CVS since 2008, overseeing their autism services and supervising the aides, behaviorists and case managers. In her capacity as a licensed nurse, she was authorized to administer and provide all Student’s medications. She had actual experience with all Student’s medications, except for the hormonal interventions Androcur and Aldactone, which were used for sexual predators as a form of chemical castration, and for gender transitions; however she was familiar with their uses and side effects and was authorized to administer them. Ms. Walden was herself the mother of an autistic son with severe behaviors who attended CVS, who was on many of the same medications as Student. 44. Ms. Walden was prepared to address Student’s severe behaviors; her program at CVS was based on the theory that communicative intent underlies even the most severe behaviors. Ms. Walden trained the aides and case managers to collect data regarding behaviors and their antecedents. Many CVS students turned over tables, or engaged in other destructive acts, and Ms. Walden had de-escalated numerous out-of-control students, and taught them to communicate better. For example, Ms. Walden intervened with one CVS student who had hurt a teacher’s thumb and had broken windows. Ms. Walden’s behavioral analysis revealed the student wanted a pop tart; after Ms. Walden’s interventions, that student never hurt another person. 45. At hearing, Ms. Walden testified forcefully and credibly that CVS offered a “great program” and that in 2009 she fully believed it could have provided Student with appropriate academic instruction and behavioral support. Student would have been with other students rather than isolated. He would have participated in CVS’ functional skills and vocational program, with an intensive behavior management component. Student’s class would have consisted of approximately eight other students aged 16-18. Ms. Walden’s testimony was given great weight due to her demonstrated competence in her fields of endeavor, her extensive experience, her obvious dedication, and the directness of her testimony. 46. Mother did not consent to the May 12, 2009, IEP’s offer of placement and services at CVS. 47. In June 2009, Mother obtained an assessment from Dr. Carrie Dilley. Dr. Dilley was a licensed clinical psychologist with a Ph.D. in clinical psychology obtained in 2007. From 2007 until 2009, Dr. Dilley pursued post-doctoral fellowships. Dr. Dilley’s internships while in graduate school and her post-doctoral fellowships concentrated on students with autism and developmental disabilities. She became licensed as a Clinical Psychologist in March 2009, three months prior to conducting this assessment. This assessment was among the first she conducted on her own, under her own licensure, although she had been trained in performing assessments in graduate school and through internships. 48. Mother approached Dr. Dilley with concerns about Student’s behaviors. Mother specifically wanted to know whether a RTC was appropriate for Student. 49. Dr. Dilley observed Student at his Jones setting, and interviewed Ms. Kreyssler, and Student’s speech pathologist there. She also toured CVS. She assessed Student in her office on two occasions. During these sessions, Student was mild tempered but became visibly dysregulated, engaging in singsong chatter and rocking back and forth. Dr. Dilley considered this behavior consistent with autism, and also with anxiety. 50. As part of her assessment, Dr. Dilley conducted a records review, including District’s 2007 triennial psychoeducational assessment. Dr. Dilley did not reassess Student for autistic disorder, finding that was well established in his history through previous assessments, and because it was visibly and readily apparent to her that a diagnosis of autistic disorder was an accurate and appropriate description for Student’s developmental delays. 51. Dr. Dilley administered the following assessment instruments to Student: the Wechsler Abbreviated Scale of Intelligence (WASI); Wechsler Individual Achievement Test, Second Edition (WIAT II); and the Beery Buktenica Developmental Test of Visual Motor Integration (VMI). Dr. Dilley had Mother complete the Vineland Adaptive Behavior Scales, Second Edition-Parent Caregiver Rating Form (Vineland II) and the Winnie Dunn Sensory Profile Caregiver Questionnaire. She had Mother complete the Achenbach Child Behavior Checklist for Ages 6-18 (CBCL/6-18). She had Ms. Kreyssler complete the Achenbach Teacher Report Form-Ages 6-18 (TRF/6-18). 52. The WASI was an abbreviated form of the Wechsler Intelligence Scale for Children, Fourth Edition (WISC IV) that provided an estimate of a full-scale IQ score. It was used for brief assessments or for clients for whom a standard assessment would prove too difficult. Student’s overall performance indicated functioning in the extremely low range compared to same-age peers, with an estimated full scale IQ of 60. His performance on three of the four subtests was at or below the six year-old range. His performance on the fourth subtest, measuring nonverbal reasoning skills, was at the nine year-old range. Student’s academic scores on the WIAT II were in the extremely low range. Dr. Dilley opined that Student’s results on the WIAT II might be skewed because of his limitations with verbal expression, and might therefore underestimate his actual abilities, which however were nevertheless consistent with his extremely low cognitive level. The VMI measured developmental functioning of visual motor integration skills. Student performed in the extremely low range with an age equivalency of four-to-six years old. 53. The Vineland II measured adaptive behavior, as reported by parents or caregivers, assessing skills in communication, daily living skills, socialization and motor skills. These four domains made up the “adaptive behavior composite,” a measure of overall adaptive functioning. Mother’s responses indicated that Student’s adaptive functioning was in the lowest range, far below the expected level for his age, with the highest scores being at the eight year-old level and his lowest scores being at the level of a seven month-old. The Winnie Dunn Sensory Profile Caregiver Questionnaire consisted of 125 items used to assess a child’s sensory processing abilities. The results were consistent with Student’s sensory-seeking patterns, sensory sensitivities, difficulty with attention and distractibility, extreme difficulty with regulation, and rigidity. 54. The Achenbach Child Behavior Checklist and Teacher Report Form measured a range of internalizing and externalizing behavioral problems. Student’s scores placed him in the clinically significant range for behaviors indicating anxiety and depression, somatic complaints, social problems, thought problems, attention problems and aggression. Dr. Dilley concluded that Student demonstrated difficulty with emotional reactivity, affective problems, anxiety, impulsivity, concentration/attention, extreme aggressive behaviors and oppositional behaviors. 55. Dr. Dilley observed the CVS program and concluded that it was well equipped to treat and manage the educational needs of many children on the autism spectrum. She found CVS overall to be a well-run and thoughtfully organized program for children on the autism spectrum with emotional disturbances. Dr. Dilley also observed that CVS had a sensory room with a variety of objects, such as swings, that she believed could be beneficial to Student. 56. Dr. Dilley felt, however, that some aspects of CVS’ program were not appropriate. She observed that the sensory room was darkened. Dr. Dilley had been anecdotally informed by Mother of an incident in 2004 when Student was locked in a darkened room at school because he was screaming; based upon this information, Dr. Dilley opined that CVS’ darkened sensory room might cause Student trauma. In addition, Dr. Dilley felt that the vocalizations of the other students in the room could be disturbing to Student, who had extreme auditory sensitivity and wore noisecancelling headphones. Dr. Dilley was not aware that CVS utilized the sensory room in different manners for different Students, and that it could accommodate both hyposentivity and hypersensitivy to sound, depending upon the particular student’s individual needs. 57. Overall, Dr. Dilley concluded that given Student’s extreme aggressive behaviors that occurred both during and outside regular school hours, his inability to self-regulate once triggered, and his potential for causing serious harm to himself or others, CVS or any NPS was not appropriate. Dr. Dilley’s information concerning Student’s behaviors was anecdotal, from Mother, Ms. Kreyssler, and Student’s documentary record. Student was larger than the other students observed at CVS and in Dr. Dilley’s opinion he could not have been restrained by only the two staff members she observed at CVS. Dr. Dilley did observe that the CVS staff were trained in physical restraints, however, she believed Student’s large physical size would have required additional staff to safely restrain him. Dr. Dilley concluded that it was essential that Student be authorized for placement in an RTC program for students on the autism spectrum with serious emotional disturbances including aggression that could provide 24-hour behavioral support, that was sensitive to Student’s expressive language and cognitive limitations, and his sensory and auditory processing difficulties. 59. Dr. Dilley’s other recommendations included: breaks during the school day, a picture schedule to organize Student’s day, positive behavioral interventions, OT, speech therapy, one-on-one special education and aide instruction; integration into an environment with peers, and parent coaching for Mother. 60. Student’s placement and services continued as previously until June 2009, at which point Mother withdrew him from the District’s program. He has received no educational placement or services from that time through the date of hearing. Student provided District with a copy of Dr. Dilley’s report on or before July 29, 2009. 62. Student filed the complaint in this matter on July 29, 2009. 5 Regional Centers operate under authority of the Lanterman Developmental Disabilities Act (Welf. & Inst. Code, § 4500 et seq.). Their purposes are unrelated to those of IDEA. They provide daily living services and supports to persons with developmental disabilities, unrelated to the provision of a FAPE. 64. Student filed the amended complaint on August 7, 2009. 65. In August, Student’s longtime teacher, Ms. Kreyssler retired. Her contract with District expired on August 20, 2009. 66. The first day of the 2009-2010 school year at CVS was August 24, 2009. By then, CVS had been provided with a copy of Dr. Dilley’s assessment, and was preparing for Student’s arrival. However, Student never enrolled in CVS and has never attended. 67. Because Student had not enrolled, District convened an IEP team meeting for September 15, 2009, to discuss transition to CVS. Mother and her attorney, District and its attorney, and Ms. Ohls and Ms. Walden from CVS attended. There was extensive discussion about transitioning Student to CVS, however that transition never transpired. Mother did not consent to CVS. Her concerns were physical restraints, health and safety concerns regarding Student’s medications, and that Student would be thrown into a classroom with other students after years of one-on-one instruction. In connection with physical restraints, Mother was aware of a consent form in CVS’ enrollment package concerning the use of physical restraints. The form asked for parental consent to the use of emergency interventions, including physical restraints, using the Professional Assault Respondent Training (Pro Act) strategies, which emphasized verbal crisis intervention, followed if necessary by physical restraints. By September, since Student had not enrolled, Mother had not reviewed CVS’ enrollment packet with CVS staff, and therefore she was not informed of CVS’ policies regarding the use of physical restraints. Thus, she never learned that her signature on the consent form was optional, or that in the absence of parental consent, CVS would employ only hands-off emergency interventions. 68. Ms. Kreyssler did not attend the IEP, but wrote a letter dated September 14, 2009, that was presented to the IEP team, regarding her ideas about how to transition student to CVS. Among other recommendations, Ms. Kreyssler suggested that she accompany Student to CVS when he enrolled for the first 12 days to provide continuity, and to wean him from her. At hearing, Ms. Ohls credibly established that at or around the time of the September IEP meeting, she called Ms. Kreyssler and told her that District had agreed to contract with her, or that CVS would hire her as a contract provider and District would reimburse CVS, and that it would be easy to arrange. Ms. Kreyssler stated none of that would be possible, and then flatly stated “Student is not going to your school.” Ms. Ohl’s detailed and credible testimony undermined the credibility of Ms. Kreyssler’s contrary statements at hearing, and established that the enrollment at CVS was hampered by Mother’s disagreement with the placement and desire for an RTC, not by transition planning issues. 69. At hearing, Mother testified credibly that as of 2009, Student showed extreme aggression, masturbated in public, lashed out at her and at school personnel, and engaged in head-banging, biting, scratching, and crying bouts. He became extremely angry when his routine changed. De-escalation strategies did not work consistently with him. This behavior occurred both at home and at school. Student was unable to verbalize what had occurred during a school day; if he were hurt he would point to a body part and say “boo hoo.” Mother testified that as of the date of hearing, Student was 5’ 11” tall and weighed 260 pounds, and that she feared for his safety, her own, and the safety of others. 70. At hearing, Ms. Kreyssler confirmed that as of 2009, Student was very large and tall, was severely autistic and nonverbal, and acted aggressively and assaultive. Student perseverated and became anxious during the school day. To her, he seemed depressed and anxious, although she admitted that she was not qualified to diagnose those conditions. His agitation level would rise and rise, resulting in eventual throwing of objects including tables and chairs. In Ms. Kreyssler’s understanding, sometimes there were identifiable antecedents to these behaviors (glaring being one of the most reliable signs) and other times not. Ms. Kreyssler had dealt with Student’s aggressive tendencies the entire time she taught him; she worked on routines to relax him and get him in an attentive state for learning. Ms. Kreyssler credibly confirmed that District was aware of Student’s aggression. For example, he had attacked both a speech pathologist and a coach on the playground while at Jones, and teachers ran out to help. For another example, the principal at Jones once almost called the police out to deal with Student’s aggressive behaviors. Ms. Kreyssler also credibly confirmed that Student acted sexually inappropriately, touching women’s bare skin and masturbating in public. Mother was often badly bruised; Ms. Kreyssler feared for Mother’s safety and advised Mother to call in police reports when bruised by Student. 71. Each party put on the testimony of expert witnesses. Student’s expert Dr. Chris Davidson was a school psychologist, and a licensed educational psychologist, with a master’s degree in counseling and a doctor of education degree (Ed. D) in educational management. She had extensive experience as a school psychologist, school assistant superintendent, and director of special education. She had performed thousands of psycho-educational assessments as a school psychologist, working with students under all eligibility categories. Dr. Davidson was neither a BCBA nor a psychiatrist. Dr. Davidson was asked to render an opinion regarding whether student should have been qualified as ED in 2009. She conducted a records review of Student’s IEP’s and assessments, interviewed Mother and Ms. Kreyssler, and observed Student in 2012. She learned from Ms. Kreyssler that Student became sad and cried without apparent antecedents, and seemed to Ms. Kreyssler to have emotional difficulties. Based on this information, she believed that at the relevant time frame in 2009, Student should have been qualified for special education under the category of ED. In her opinion, based on her understanding as a school psychologist, he exhibited the qualifying characteristics: inappropriate feelings and behaviors; anxiety and fears; unsatisfactory interactions with peers; all of which interfered with his education and persisted over a long period of time and to a marked degree. When asked whether these characteristics could be explained by other factors, such as his cognitive levels or his health, she opined that a student with limited cognition should in her opinion still qualify as ED if working below his cognitive potential. In terms of the 2007 triennial WJ II testing that was done, Dr. Davidson opined that Student’s academic achievement scores were low, even for a child with Student’s cognitive levels. In her opinion, Student was not working up to his cognitive potential, which she acknowledged was limited, and therefore in her opinion his ED was affecting his educational performance. Dr. Davidson also acknowledged that Student fell within the eligibility category of autistic-like characteristics, however in her opinion, the two eligibility categories autistic-like and ED are not mutually exclusive, and can coexist. Thus, although Student’s characteristics and behaviors during the relevant time frame might have been linked to his autism, many autistic students do not act out the way he did. Therefore, in her opinion, autistic children with maladaptive behaviors can also meet the legal definition of ED. 72. Dr. Davidson opined that District should have acquiesced to Mother’s request for an ED assessment, in light of Dr. Browns’ May 7, 2009, letter, rather than relying on its 2007 triennial, which was insufficient to screen for, or rule out ED, especially in light of the fact that two years had passed. She opined that a special education director must either rule out ED or rule it in, and cannot devise an appropriate program without this information. 73. Based on Davidson’s experience, she opined that had District made a referral to DMH in 2009, DMH would have done an in-depth assessment; provided individual or family counseling; and provided medical management review. In Dr. Davidson’s opinion, Student did have the cognitive capacity to benefit from psychotherapy, however only if it were on a very concrete, behavioral level, to identify that he was having a feeling, i.e. pain. After exhausting this level of service, DMH might also have referred student to an NPS and/or an RTC. In Davidson’s opinion, an appropriate placement in the least restrictive environment for Student would require a NPS, however if he were not showing growth, an RTC should be considered and might be appropriate. She opined that even if DMH were not involved, District should have considered the RTC option on its own. However, an RTC is appropriate after less restrictive options have been tried and exhausted. 74. Student’s other expert, Dr. Russell Griffiths, is a school psychologist and licensed educational psychologist with a Ph.D. in educational psychology and a very impressive resume working with severely impacted, at-risk youth with multiple behaviors. He has worked at schools, RTC’s, group homes, and through agencies, court programs and schools, and with students placed through probation. He has served as a behavior counselor and crisis manager. 75. Dr. Griffiths’ testimony was thoughtful and credible. Although called by Student, overall Dr. Griffiths’ opinions did not strongly support Student’s positions in this due process matter. Dr. Griffiths has rarely seen an IEP with both autism and ED as eligibility categories. In his opinion, it is a challenge for psychologists faced with an autistic student with severe behaviors, to tease out what is driving the symptoms. The challenge is compounded by the fact that there are not sufficient testing instruments capable of assessing children for ED when they are also very low cognitively, or are also autistic. The scores of such children will show “scatter,” i.e. the scores will be scattered across different domains and will show varying levels of ability in each domain, and will not paint a consistent portrait of a child’s functioning. In Dr. Griffiths’ experience, professionals must exercise judgment when categorizing such children; the scores do not tell the whole story because of the scatter. Dr. Griffiths opined that based upon Student’s behaviors and Dr. Brown’s letter, some further investigation should have been done to rule out ED, however an FAA would also have been an appropriate response. 76. Had Student been found eligible under the category of ED, Griffiths opined that wrap-around services involving other agencies would have been the first level of intervention, at home, involving therapies such as family therapy. This would have been the LRE and the first level of intervention; an RTC might have been considered but only after less intensive methods had been tried first. Had Student ultimately been placed in an RTC, the services there would have been medical management; behavioral therapy; social skills training to re-enter him into education with peers; family therapy; and positive behavioral interventions. 77. District’s expert Dr. Jack Schnel was a school psychologist, and a licensed clinical, as well as a licensed educational psychologist, with a master’s degree in educational and counseling psychology and a Ed. D in educational and counseling psychology. He had extensive experience as a school psychologist and in private practice as an educational therapist. He had performed thousands of psychoeducational assessments as a school psychologist, working with students under all eligibility categories. Dr. Schnel was asked to render an opinion regarding whether Student should have been assessed for ED in 2009. He conducted a records review of Student’s IEP’s and assessments, and the transcript of the hearing resulting in the Prior Decision. Based on this information, he believed that at the relevant time frame in 2009, ED was not a suspected disability category for Student, therefore no assessment was appropriate. 78. Dr. Schnel opined that Student’s primary eligibility category of autism was appropriate, and that Student’s aggressive behaviors could be fully explained by his sensitivities to noise and other stimuli, physical discomfort and lack of ability to express needs verbally that are associated with that condition. In Dr. Schnel’s opinion, Student’s characteristics could also be explained his cognitive levels or his health. In Dr. Schnel’s view, this excluded Student from eligibility for ED, which is only suspected when other reasons for the inability to learn had been eliminated. 79. Therefore, Dr. Schnel believed that Student, due to his autism and intellectual disability, could not have been qualified as ED. Dr. Schnel acknowledged that there are symptoms that fall within both the definitions of autism and ED but opined that typically ED is not a secondary eligibility category because ED requires an inability to learn that is not explained by the existence of another disability. Although Dr. Schnel is aware of rare instances of eligibility under both categories, he opined that there is no concept of co-morbidity between ED and other disabilities. Thus, Dr. Schnel concluded that because Student’s behaviors were explained by other factors, by definition ED could not have been a suspected category of disability in 2009. 6All references to the Code of Federal Regulations are to the 2006 edition, unless otherwise indicated. 7In 1984, the California Legislature passed Assembly Bill 3632, adding Chapter 26.5 to the Government Code, which provided that mental health services required by the IEP’s for special education students would be delivered by community health agencies. These were commonly referred to as AB 3632 or Chapter 26.5 evaluations and services. On October 8, 2010, the former Governor vetoed funding for mental health services provided by county mental health agencies. In California School Boards Association v. Brown (2011)192 Cal.App.4th 1507, 1519, the court found that the veto suspended the mandate of county mental health agencies to provide mental health services that were required to provide individual students with a FAPE. Subsequently, on June 30, 2011, the Governor signed into law a budget bill (SB 87) and a trailer bill affecting educational funding (AB 114). Together they made substantial amendments to Chapter 26.5 of the Government Code which is no longer called AB 3632. In particular, the sections requiring community mental health agencies to provide the services were suspended effective July 1, 2011, and were repealed by operation of law on January 1, 2012. Thus, since October 8, 2010, LEA’s have been exclusively responsible for providing mental health services to special education students. 19. Student contends that Student’s history of aggressive behaviors and Dr. Brown’s May 2009 letter, put District on notice that ED was a suspected category of disability for which District should have assessed Student. Student further contends that the refusal to do so impeded Mother’s participatory rights by depriving the IEP team of critical information necessary to devising an appropriate program, and that District inappropriately relied on its 2007 assessment which was out-of-date and incomplete. Student further contends that the failure to assess and label him as ED deprived him of substantive mental health services, specifically RTC placement. District contends that it was not on notice of ED as a suspected disability insofar as its personnel and assessors did not witness Student’s aggressive behaviors which, it contends, occurred primarily in the home. District further contends that Student was not denied a substantive FAPE, because an RTC was not necessary to provide Student a FAPE in the LRE, insofar as CVS could have provided Student with educational benefit, and was indeed the placement District was constrained to offer by virtue of the Order in the Prior Decision. Finally, District contends that Mother was not deprived of her participatory rights. As discussed below, although Student has demonstrated that a procedural violation occurred, Student failed to demonstrate at hearing that the violation impeded Student’s right to a FAPE, significantly impeded Mother’s opportunity to participate in the decisionmaking process, or caused a deprivation of educational benefits. 20. Legal Conclusions 1-18 are incorporated herein by reference. 30. Parent attended the May 2009 meeting and expressed her concerns. She brought her attorney to the meeting. They presented Dr. Brown’s letter and explained his views. District considered and rejected the request for further assessment, believing it had sufficient information to make an offer of FAPE. There was no deprivation of Parent’s right to participate where, as here, she attended the IEP meetings, came prepared with an opinion from an expert that supported her position, discussed the child’s problems, expressed disagreement regarding the IEP team’s conclusions, and requested revisions in the IEP. (See N.L. v. Knox County Schools (6th Cir. 2003) 315 F.3d 688, 693; Fuhrmann v. East Hanover Bd. of Educ. (3d Cir. 1993) 993 F.2d 1031, 1036 [Parent who has an opportunity to discuss a proposed IEP and whose concerns are considered by the IEP team has participated in the IEP process in a meaningful way].) (Factual Findings 30-40; Legal Conclusion 8.) Under these facts, Student failed to meet his burden of demonstrating that he was deprived of a FAPE on this ground. 31. Student contends that District’s failure to label him as ED deprived him of substantive mental health services, specifically RTC placement. District contends that Student’s primary eligibility category of autism was well-established, and that it fully explained Student’s characteristics, such that ED was not a category of disability for which Student should have been qualified. District further contends that Student was not denied substantive FAPE, because an RTC was not necessary to provide Student a FAPE in the LRE, insofar as CVS could have provided Student with educational benefit, and was indeed the placement District was constrained to offer by virtue of the Order in the Prior Decision. 32. Legal Conclusions 1-18 are incorporated by reference. 35. When a student is found eligible under any category, the analysis of whether he was denied a FAPE shifts to an examination of whether his IEP was tailored to meet his unique needs. “The IDEA does not concern itself with labels, but with whether a student is receiving a [FAPE]. A disabled child’s [IEP] must be tailored to the unique needs of that particular child. …. The IDEA charges the school with developing an appropriate education, not with coming up with a proper label with which to describe [a student’s] disabilities.” (Heather v. State of Wisconsin (7th Cir. 1997) 125 F.3d 1045, 1055.) In other words, once a student is determined eligible, the category of eligibility becomes irrelevant to the analysis of whether he was denied a FAPE. 39. Student contends that he was denied a FAPE because District should have convened an expanded IEP team meeting that included an authorized representative of DMH, within 30 days of the May 12, 2009 IEP team meeting. Student further contends that had such a meeting been held, he should have been offered an RTC placement. District contends that the duty to convene an expanded IEP team for RTC placement expressly applied only to students who have been designated as ED, which this Student was not. District further contends that Student was not denied a substantive FAPE, because an RTC was not necessary to provide Student a FAPE in the LRE, insofar as CVS could have provided Student with educational benefit, and was indeed the placement District was constrained to offer by virtue of the Order in the Prior Decision. Finally, District contends that Mother was not deprived of her participatory rights. 40. Legal Conclusions 1-18 are incorporated by reference. 41. As stated above in Legal Conclusions 16-18, under the law in effect in May 2009, residential treatment was available under certain circumstances for students who qualified for mental health services under the category of ED, and when any member of the IEP team recommended residential placement. Under those circumstances, the IEP team was to be expanded to include a representative of DMH within 30 days of the recommendation. The expanded IEP team was to determine whether the child’s needs could reasonably be met through any combination of nonresidential services preventing the need for out-of-home care; whether residential care was necessary for the child to benefit from educational services; or whether residential services were available that addressed the needs identified in the assessment and that would ameliorate the conditions leading to the seriously emotionally disturbed designation. Less restrictive alternatives were required to be considered and rejected prior to implementing residential treatment, including behavioral specialist and full-time behavioral aide in the classroom, home and other community environments, and/or parent training in these environments. Education Code section 56507, subdivision (d), requires that this Decision indicate the extent to which each party prevailed on each issue heard and decided in this due process matter. District prevailed on all issues heard and decided in this case.